Batman is one of the most popular superheroes of all time, famed throughout the world for fighting crime, and now he's helping you fight grime, too. 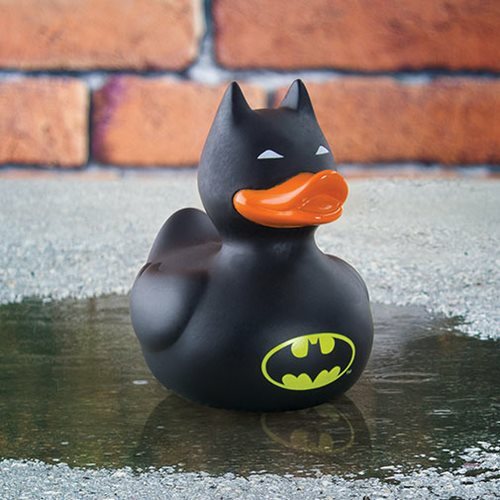 In all black (apart from the classic orange duck beak), the Batman Bath Duck also sports the iconic Batman logo across his chest. A fun bath-time distraction, he floats safely on the surface of the water and comes packaged in a classic Batman comic design cardboard box. Bathing ducks are great bath-time toys that have helped to liven up boring baths for over 70 years. 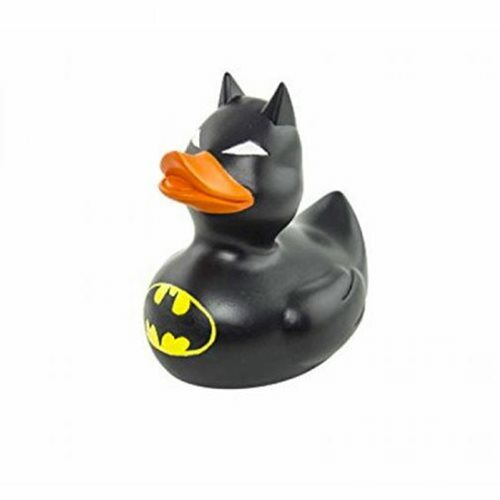 First invented in 1940 as a floating children's toy, the classic yellow "rubber duck" is actually of similar age to Batman (who made his first appearance in Detective Comics in 1939). So, it seems right that these two icons of popular culture are finally combined! Measures approximately 3 1/2-inches tall.